While we hope you spend plenty of time in April jumping in puddles, spotting baby birds in their nests, singing in the rain, digging in the dirt, and playing with worms in your own backyard, there’s plenty of fun to be had in the community as well! Our April event calendar for families in Terre Haute and the Wabash Valley is proudly brought to you by KinderCenter! We’re looking forward to Miss Rhonda’s summer plans. Have you heard of her drop-in classes for preschoolers? They’re called Summer PlayShops. While the complete schedule is coming soon, we’re proud to show you a sneak peak of the KinderCenter summer themes! For Infants to 18 months – Busy Days! Take imaginary trips to the grocery store, the park, the doctor’s office, the beach or pool and a family picnic. Each lesson features songs you can sing for all the places you go together. For 18 months to 3 years – Zoo Train! Take an imaginary fun-filled trip to the zoo! You and your child will enjoy pretending to visit with the monkeys, giraffes, zebras, elephants, polar bears, lions and more! Each lesson features singing, movement activities, stories and crafts. For 3 to 5 years – PlayShops. PlayShops are fun, educational sessions that include songs, movement activities, a story and a craft all centered on a theme. Each PlayShop is unique since each PlayShop has a different theme. PlayShops are not Kindermusik classes and do not come with Kindermusik home materials. For children 5 to 7 years – World Adventures. Learn about and experience the cultures of countries through the music, crafts and food of each of these countries. Each class includes singing, movement activities, games, crafts and snacks from each of the five different countries. This is not a Kindermusik class and does not come with Kindermusik home materials. Every Monday. 6:00-8:00 p.m. Strengthening Families Program, For Parents and Youth 10-14 at Vigo County Public Library Main Branch. Free program consisting of seven, two-hour sessions. Participants must attend all seven sessions. Registration required. Mondays 10:00 a.m. Tiny Tot Time at Vigo County Public Library Main Branch. Ages 0 – 24 months: Bring your baby to the library for stories, songs, dance, and activities. Tuesdays. 9:30 a.m. Story Time Tuesday at Chick-fil-A. Join us for an hour of stories and activities. All kids 12 and under who participate can enjoy Chick-n-Minis on us! Tuesdays. 1:00 p.m. Art Start at the Swope Art Museum. Young artists are invited to experience this free art program. For children ages three to five accompanied by an adult. Located at the Swope Education Center, enter from Ohio Street. Tuesdays. (except April 2.) 4:00 p.m. TechKNOW Lab at Vigo County Public Library Main Branch. Ages 11-15: Explore, create, and innovate with the Tech Team! Each session will offer hands-on experience with different technologies, such as 3D printing and augmented reality. Registration Required. Tuesdays. 5:30 p.m.-7:00 p.m. Hawthorn Hiking Club. Hawthorn Park: Labyrinth. All Ages & Free! Tuesdays. (except April 2 and 16.) 5:00 p.m. TV Tuesday for Teens at Vigo County Public Library Main Branch. Are you a fan of Gravity Falls? Adventure Time? Do you enjoy relaxing in a fun and comfortable environment? If you answered yes to any of those questions TV Tuesday is perfect for you! Wednesdays. 10:00 a.m. Wiggle Worm Wednesdays at Vigo County Public Library Main Branch. Ages 2-5: Bring your preschooler to the Library for interactive stories, songs, dancing, crafts and play. Wednesdays. 6:30-7:30 p.m. West Vigo Guitar Club at Vigo County Public Library West Branch. Free. Learn to play the guitar and better understand basic music concepts like melody, rhythm and chords with the West Vigo Guitar Club. Registration required. Ages 12-19. Thursdays. 10:00 a.m. Elliot Woods Hiking Club. Ages 18+. Free! It’s Spring time! Hiking is the ultimate way to enjoy the outdoors and a fun way to reduce stress and rid yourself of the winter blahs. Thursdays. 10:00 a.m.-12:00 p.m. Illiana Gymnastics Complex Open Gym. $5/child. Thursdays. 5:30 p.m. Deming Park Pottery Basic Wheel Throwing. Cost: $35 for a class + glaze day. Project: Bowls. Thursdays. 5:30 p.m. Deming Park Pottery April Open Studio. Cost: $65/ month or $55/ month for 3 months. For more advanced potters. Thursdays. 6:00 p.m. Books Before Bedtime at Vigo County Public Library Main Branch. Bring your children ages 0-5 for this evening storytime. Wear your pajamas to the library for stories, songs, and crafts before bedtime! Thursdays. 6:00 p.m. Creative Builders at Vigo County Public Library Main Branch. Ages 6-11: Hang out with your friends and explore cool technology, art, games and activities. Friday. 10:30 a.m. Ready to Read Storytime at Vigo County Public Library West Branch. Ages 0-5: Sing along to music, move your bodies with egg shakers and scarves, hear stories and participate in crafts or playtime. Parents and caregivers are invited to participate with their children during this storytime. Saturdays. (April 13-May 18). 10:00 a.m. Family Yoga at The Maple Center. Instructor Ellie Templeton will be leading parents and kids through basic yoga poses, breathing techniques, simple meditation and relaxation. Games, music, props and partner poses will make the class engaging for all students. Cost $5/person or $20/family. Wed April 10. 6:00 p.m. Young Hoosier Book Award Author Night with John David Anderson at Woodrow Wilson Middle School Auditorium. Dave, as he prefers to be called, will talk about the forces of inspiration and imagination and the need for young readers and writers to be the heroes of their own stories. Free! Did you know that this author lives in Indiana? John David Anderson is the author of several critically-acclaimed novels for young people. He lives with his patient wife and brilliant twins in Indianapolis, Indiana, right next to a State park and a Walmart. He does not wear ties. He enjoys hiking, reading, chocolate, spending time with his family, playing the piano, chocolate, putting off the dishes, watching movies, and chocolate. Those aren’t his real teeth. Not all of them, anyway. You can find out more on his author website OR meet him in person at this FREE event! Wed April 10. 6:30 p.m. Secret to Success in Kindergarten at Terre Haute Children’s Museum. To celebrate the Week of the Young Child, adults are invited to explore ways they can support their young child’s learning to encourage kindergarten readiness. The cost is $5 per person, though museum members are free. A Workshop for adults on how to prepare your young child for a lifetime of learning. For parents, out-of-school educators, and preschool or daycare providers. CEU’s available. Includes presentation by Dr. Eunice Huang and ISU Early Childhood Education minor students. 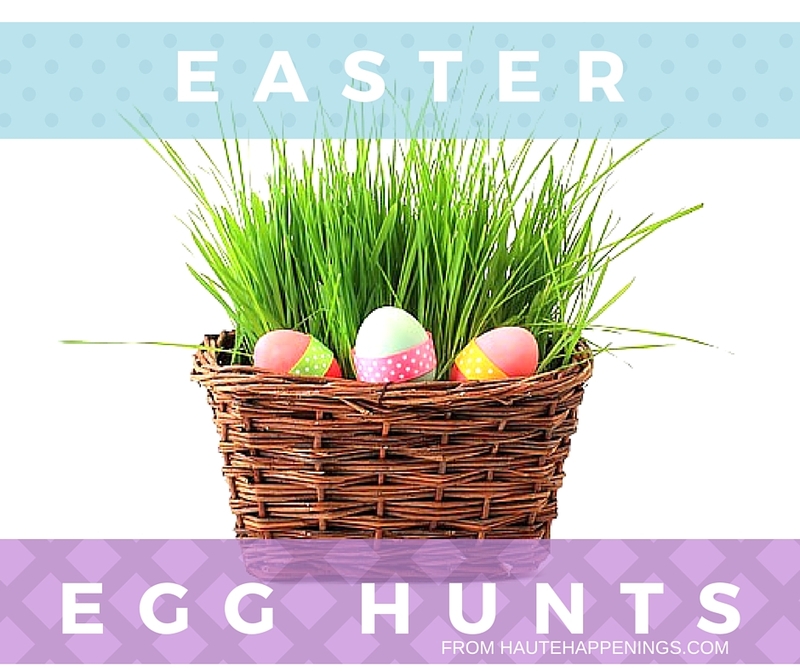 Looking for Easter bunny pictures and egg hunts? Check out our Easter guide! Thurs April 11 and Fri April 12. Bowl for Kids’ Sake 2019 at Terre Haute Bowling Center. Date night? Adult night? or Family night? It’s a fun night for everyone! Help support our Bigs & Littles and make a difference! Each bowler has a goal of raising $100 through donations. Thurs April 11. Indiana State University Bookstore Customer Appreciation Day. Stop by between 7:30a and 9:00a for some donuts and browse our Hat Sale. Spin our prize wheel to try your hand at winning some great indiana State Items. Then join us in the afternoon for our patio sale, weather permitting. Is there something in our cafe you have been wanting to try? We will be sampling items from our cafe throughout the day as well. Come see what our store has to offer. Fri April 12 and Sat April 13. 7:00 p.m. Annie, Jr performances. Presented by Community School of the Arts at Indiana State University. Located at United Methodist Church. Tickets $15/person. Sat April 13. 9:00 a.m.-12:00 p.m. Community Baby Shower. Union Health is proud to offer a FREE baby shower celebrating all new mothers and mothers-to-be in the Wabash Valley. We are bringing together community resources to help improve maternal and child health in the Wabash Valley. Information will be available from 9 a.m.-noon and a variety of classes will be offered. Sat April 13. 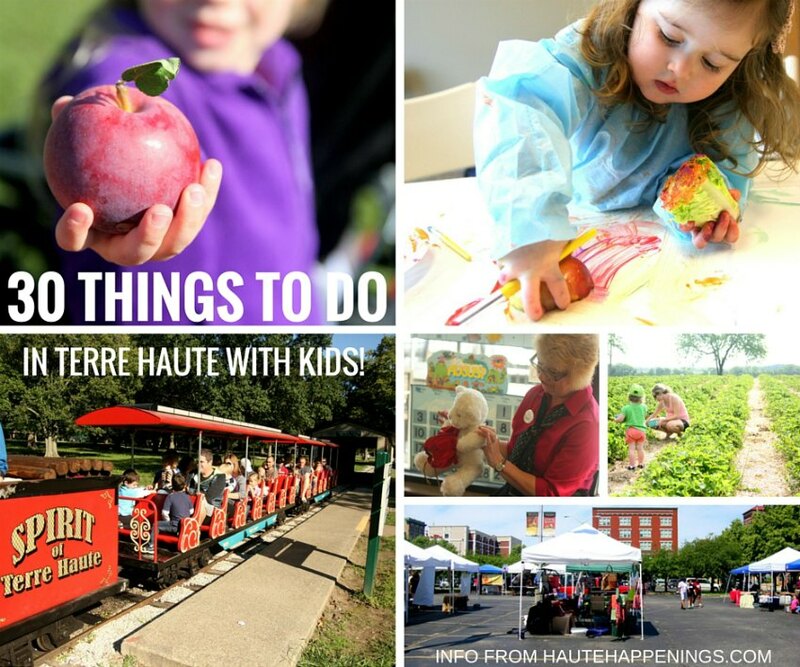 10 a.m.-5 p.m. Community Day at Terre Haute Children’s Museum. $2 admission all day long! Sat. April 13. Kitten Shower at the Terre Haute Humane Society. Sat April 13. 9:00 a.m.-2:00 p.m. Spring Yard Sale at Wabash Activity Center. We will have hot food available for sale and home bakes goodies. We will have everything to look through from A to Z. Household items, clothes, kitchen accessories, shoes etc. Sat April 13. 9:00 a.m.-2:00 p.m. 4-H Council Spring Craft Bazaar at Wabash Valley Fairgrounds. Over 90 vendors including: Handmade crafts, Thirty One, Primitive Crafts, Jewelry, Embroidery, Longaberger Baskets, Pottery, Purses, Essential Oils, Pampered Chef, Tupperware, Woodworking, and Tastefully Simple. $1 Admission and children are free. Sat April 13. 9:30 a.m. Gardening in the Village at Fowler Park: Pioneer Village. Ages 10+ Free! We are seeking volunteers interested in helping us revitalize the gardens and native plantings throughout Fowler Park’s Pioneer Village. Sat April 13. 10:00 a.m. 2019 Legislative Crackerbarrel at Vigo County Public Library Main Branch. Learn from Senator Jon Ford, Rep. Bob Heaton, Rep. Bruce Borders and Rep. Tonya Pfaff. Sat April 13. Wabash Valley Road Runner’s Club 24th Annual Swamp Stomp at Hawthorne Park. 1 Mile Run starts at 9:45 am, 5 Mile Run & 4 Mile Walk start at 10:00 am. Registration fees $8-$20. Sat April 13. Mom Swap Toy & Clothing Exchange at World Gospel Church. 1:00-1:50 Drop off Donations. 2:00 Shop. Drop off donations of clean, gently used children’s clothing, equipment, or toys to workers at the church entrance (Sorted by size and gender prior to drop off). Receive ticket to “shop” for free items. Sat April 13. 6:00 p.m. Lip Sync Battle Fundraiser at Terre Haute Brewing Co. The night will include live entertainment as teams battle against one another to become lip sync legends. Guests will be encouraged to purchase votes in support of their favorite performers. All proceeds go to the Happiness Bag Capital Campaign. Sun April 14. Bowl for Kids’ Sake 2019 at Brazilian Lanes. Date night? Adult night? or Family night? It’s a fun night for everyone! Help support our Bigs & Littles and make a difference! Each bowler has a goal of raising $100 through donations. Tues April 16. 10:00 a.m. Junie B. Jones the Musical at Butler Arts Center in Indianapolis. This series of shows is specifically designed for field trip attendees. The public is usually welcome to also purchase a ticket, along with those attending a non-traditional school. Tickets $15. Thurs April 18. 8:30 a.m. Senior Social Hour – Bingo! at Chick-fil-A. Enjoy bingo with the chance to win prizes along with a free small refillable beverage for guests over fifty-five. Fri April 19. 2:00 p.m. Watch This! West Mary Poppins Returns at Vigo County Public Library West Branch. Free. With her carpetbag full of tricks, Mary Poppins saves the day once again. Sat April 20. Spring Showcase The Dance Studio at Country Club of Terre Haute. Come out and support your friends and family! Enjoy showcase routines, open dancing, appetizers, and a cash bar! Tickets are $20 per person. Sat April 20. Easter Cork Hunt. This event will be Adults only! We will be hiding Corks Around the winery, and they will be traded in for prizes! We will also have Bobby-ques serving up their delicious BBQ! 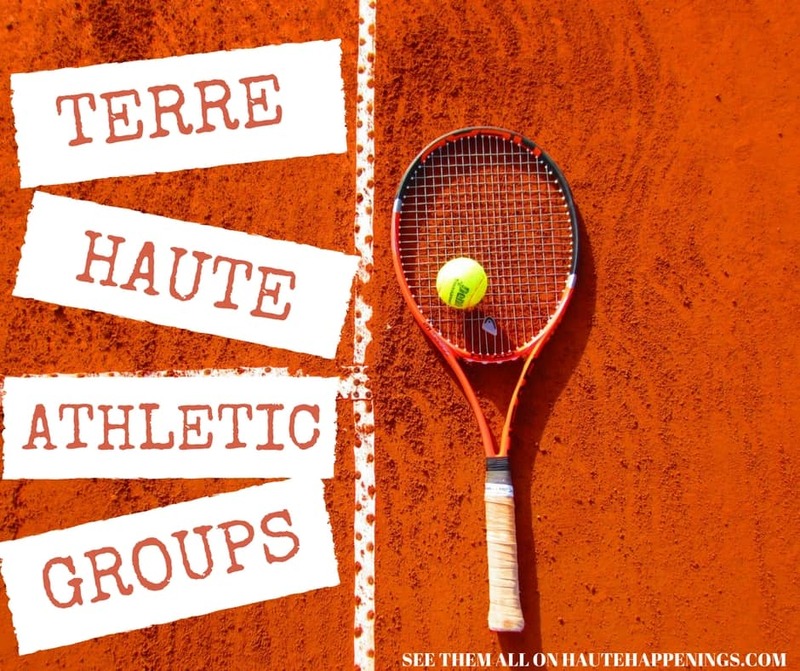 Get your friends and get over to WaterTower because this is sure to be a competitive good time! Sat April 20. 8:00 a.m.-12:00 p.m. THQMA Drive a Real Race Car. Age 4 1/2-14. $10 for 10 laps. Free to watch. Race cars and safety gear are provided. Sat April 20. 12:00-4:00 p.m. Community Block Party by Highland-Church. Bring the entire family for food, games, bounce houses, music, character photo ops, + MORE! This event is FREE and EVERYONE is welcome! Share with family and friends! Sun April 21. Happy Easter! Tues April 23. Mother Goose on the Loose at Vigo County Public Library West Branch. Join Mother Goose for an interactive storytime with books, songs, rhymes and musical instruments. You and your child will play together and develop early literacy skills. Tues April 23. 10:00 a.m. Tot Time: Earth Day Rocks at the Terre Haute Children’s Museum. The Earth rocks! Come rock out with us and learn about different types of rocks and how we use them. Tot Time is an interactive, educational program for children ages 2-5 and their caregiver. Included with admission. Fri April 26-April 28. South Vermillion Theatre presents The Wizard of Oz. Fri April 26. 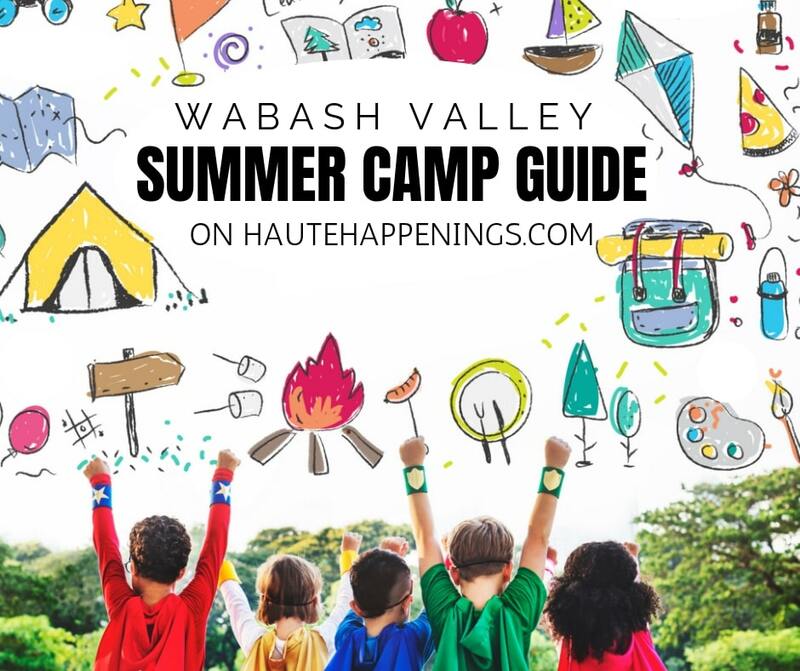 7:00 p.m. A Starry Night Homeschool Dances of the Wabash Valley at The Red Barn at Sycamore Farm. Prom 2019. Tickets starting at $40. Fri April 26. $1 pretzels at Ben’s Soft Pretzel. Sat April 26. 10:00-10:45 a.m. Pre-school Clay at Deming Park Pottery. Cost: $7.00 per child. Ages 2-5. Project: Rainbow Shaped Chime. Registration required. Sat April 26. 7:00-9:00 p.m. Date Night Couples Pottery at Deming Park Pottery. Cost: $40 per couple. Project: Bowls. Registration required. Sat April 27. 7:00 a.m.-7:00 p.m. DINO Series 2019 Tune Up at Griffin Bike Park. The Do INdiana Offroad Series makes its annual stop at Griffin Bike Park. Classes for everyone from young to old, beginner to pro. DINO is Indiana State Championship Series for Mountain Biking. Sat April 27. 10:00 a.m.-4:00 p.m. Intro to Blacksmithing at Fowler Park. Ages 18+, $60 / person. Work with experienced blacksmiths to learn how to operate a blacksmith forge, understand the parts of an anvil, and the uses for various hand tools in the blacksmith shop. Sat April 27. 9:30 a.m. Emily’s Walk at Wabashiki Wildlife Area (Dewey Point). A celebration of the life of Emily Lou Herrington (July 1, 1927 – October 6, 2015) and her service to her community, friends, and family. $10 registration fee. Children under 10 walk free. Sat April 27. 10:00 a.m. Family Fishing Skills Clinic at Prairie Creek Park. Join us for this free, fun and informative family fishing skills clinic. Learn the basics of conservation stewardship, fishing ethics, angling skills and safety. Free. Ages 5+. Registration Required. Sat April 27. 10:30 a.m.-3:00 p.m. Earth Day Festival & Craft Fair at Saint Mary-of-the-Woods College. Bring the entire family for a great day all focused on care for creation, especially our Earth. The event admission is free but donations are accepted at the entrances. Sat April 27. 5:00-10:00 p.m. Kids Night Out at Vigo County YMCA. Join the YMCA of the Wabash Valley Kids’ Night Out events in Vigo County! The evenings will feature seasonal games, arts and crafts, healthy snacks and more. Members- $15 first child/$10 additional children; Nonmember Rate: $25 first child/$15 additional children. Sun April 28. 1:30 p.m. Día Festival of Nations at Vigo County Public Library Main Branch. All ages: Travel around the world with Día Festival of Nations, a national celebration to promote literacy in all cultures. Have your passport stamped as you journey from booth to booth and learn about the arts and crafts, traditions and cultures of other countries. Sun April 28. Youth Event at Ivy Fit hosted by Union Baptist Church. Thank you to KinderCenter and our featured events for their sponsorship. Their partnership helps to keep our site free for readers like you! As always typos happen and event details change! 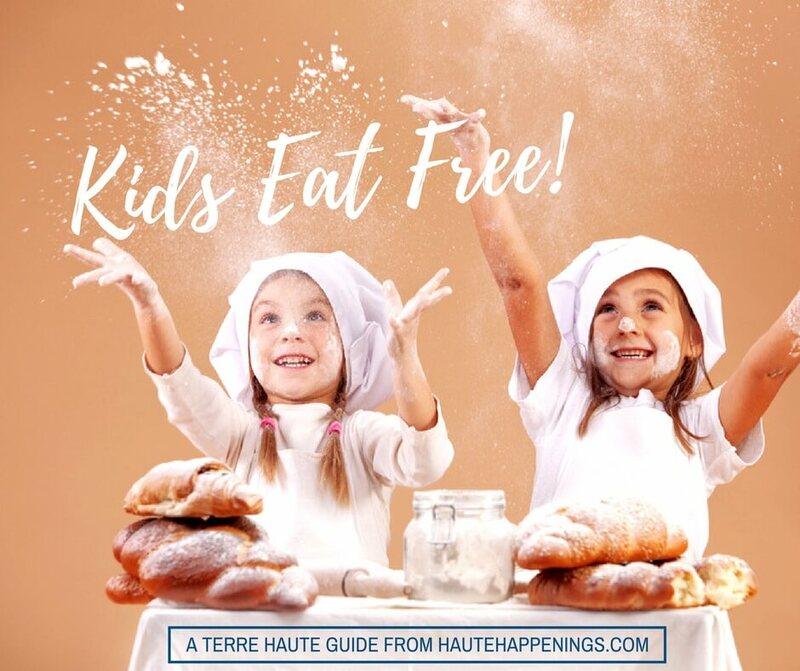 Please confirm details with event coordinators before finalizing your plans and/or promising your kids a fun adventure. Mon April 1. 11:00 a.m. Holocaust survivor Eva Mozes Kor will share her story of forgiveness and perseverance during a special Diversity and Inclusion Series convocation Monday, April 1 at Rose-Hulman Institute of Technology’s Hatfield Hall Theater. The event, from 11 a.m. to 12:30 p.m., is free and open to the public, with seating on a first-come, first-served basis. There are no tickets for the convocation, organized by Rose-Hulman’s Center for Diversity and Inclusion. Mon April 1. 10:00 a.m. Money Smart Week: Thanks for Banks at Vigo County Public Library Main Branch. Talking about basic money concepts can be easy and fun. Explore spending, sharing and saving while you decorate your own piggy bank to take home. Thurs April 4. 8:30 a.m. Senior Social Hour – Bingo! at Chick-fil-A. Enjoy bingo with the chance to win prizes along with a free small refillable beverage for guests over fifty-five. Thurs April 4 and Thurs April 18. 6:00 p.m. Where Does Your Money Go Program at Vigo County Public Library Main Branch. When payday rolls around, many people will be trying to figure out which bills they will pay and which ones will wait until another paycheck comes in. Two sessions. Fri April 5 and Sat April 6. Newsies presented by Paris High School Drama Club. Fri April 5. April First Friday: Spring Into Downtown. 4:00 p.m. How Does Your Garden Grow at Vigo County Public Library Main Branch. Don’t be afraid to get your hands dirty! Plant your own vegetables, create your own plant markers, and learn how to tend to your mini garden before you take it home. 5:00 p.m. Race into Spring at Terre Haute Children’s Museum. Join an Indianapolis 500 Princess for hands-on activities, demonstrations, and so much more racing fun. First Friday includes special admission- $5 for all ages 2 and up includes these activities. Fri April 5. 8:00 p.m.-10:30 p.m. Spring Fling Dance at Clay County YMCA. Grab your friends and dancing shoes and come on out to the YMCA’s Spring Fling Dance! Students in grades 6, 7, and 8. $3 per person due at the door. Fri April 5. 6:00-9:30 p.m. Free Middle School Movie Night presented by Mental Health America at Booker T. Washington. Movie on the Jumbo-tron. Live action Hungry Hungry Hippos game. Free movie, food drinks, and adult supervision. Fri April 5. 6:30 p.m. Howl for Music Therapy at Terre Haute Brewing Company. Dinner followed by 2 1/2 hours of interactive entertainment with the legendary Howl at the Moon musicians. All proceeds benefit the Campaign for Music Therapy at Union Hospital. Tickets start at $50. Sat April 6. Kidpreneur Event at Charm School. Is your child interested in learning a little but more about how to become a Kidpreneur? Are they interested in setting up shop on May 4th to sell their handmade goods? Join us for a short workshop geared toward our May 4th Little Makers Suitcase Sale. Sat April 6. Free Community Group Power Exercise Class at the Vigo County Y! Group Power is a results driven, strength training workout utilizing an adjustable barbell, weight plates, and body weight. Child watch will be FREE to the community. Participants will have TWO opportunities to take the one-hour long class either at 9:00am or 11:15am. We will also be offering a 101 session 30 minutes prior to the start of class for participants who are new to strength training or may need a refresher course on how to perform the movements that will be taught. Sat April 6 and Sun April 7. April Book Sale at Vigo County Public Library Main Branch. Shop from a selection of thousands of items: books, movies, music and more. Proceeds raised at the monthly book sales help provide funding for Library programs and services. Sat April 6. 9:00 a.m.-3:00 p.m. Wabash Valley Craft & Vendor Show at Clay County 4-H Fairgrounds in Brazil. Sat April 6. 9:00 a.m.-4:00 p.m. Spring Sidewalk Sale & Vendor Event at The Meadows. Start this Spring off on the right foot! Right now, we’re looking for vendors who are interested in being a part of this event. Sat April 6. 9:30 a.m. Baby Explorer: Digging into Dirt at Terre Haute Children’s Museum. Does your little one love to get their hands dirty? Bring them to Baby Explorer for some good clean dirt fun this month. Baby Explorer is for ages 0- 2 and their caregiver. Included with Admission. Sat April 6. 9:30-10:15 a.m. Pre-school Clay at Deming Park Pottery. Cost: $7.00 per child. Ages 2-5. Project: Rainbow Shaped Chime. Registration required. Sat April 6. 10:30 a.m.-12:30 p.m. Elementary Clay at Deming Park Pottery. Cost:$15. Project: Rainbow Animal Chime. Registration required. Sat April 6. 10:00 a.m. Mother Goose on the Loose at Vigo County Public Library Main Branch. Join Mother Goose for an interactive storytime with books, songs, rhymes and musical instruments. You and your child will play together and develop early literacy skills. Sat April 6. 6:00 p.m. 100 Men Who Cook to benefit the Terre Haute Children’s Museum. At this event you will also have 100 different food options for your tasting pleasure, all while enjoying one of the most extraordinary social events of the year!Individual tickets for the event are $75 each or $500 for a table of eight. Sat April 6. 7:30 p.m. Terre Haute Symphony Orchestra at Tilson Auditorium. For the young and young at heart! The whole family will enjoy Dukas’s Sorcerer’s Apprentice, Saint-Saëns’s Carnival of the Animals, and Prokofiev’s Peter and the Wolf! Tickets $17-$54. Sat April 6. 7:30 p.m. Whose Live Anyway? at Hatfield Hall. 90 minutes of hilarious improvised comedy and song all based on audience suggestions. Audience participation is key to the show so bring your suggestions and you might be asked to join the cast onstage! All ages welcomed! Tickets $37-$42. Sun. April 7. Princess Meet and Greet Tea Party at Happiness Bag. Special guests will include several of your favorite Disney Princesses, and maybe even a Fairy Godmother!! All participants will be able to get their picture taken with the Princesses and have the opportunity to watch the Disney classic, “Beauty and the Beast”. All guests will be encouraged to decorate a cookie, enjoy a cup of tea, and visit our hair, nail, and makeup stations. Entry will require a 10.00 dollar monetary donation (No fee for Parents/Guardians). There is no specific dress code, but please feel free to dress up if that is something you would like to do!! Tues April 9. 10:00 a.m. Tot Time: Tots and Teaspoons at Terre Haute Children’s Museum. This session is being led by our friends from the Maple Center and focuses on movement through yoga poses and games. Tot Time is an interactive, educational program for children ages 2-5 and their caregiver. Included with admission. Tues April 9. 10:00 a.m. Exploration Creations at Vigo County Public Library Main Branch. In this family-oriented program for all ages, families will explore, create and have fun learning about science, art, history and other subjects. Free-play will also be available for younger children. Tues April 9. 7:30 p.m. Step Afrika at Indiana State University. Tickets $22-$24. Step Afrika! was founded in 1994 as the first professional company dedicated to the tradition of stepping. It now ranks as one of the top ten African American dance companies in the United States.